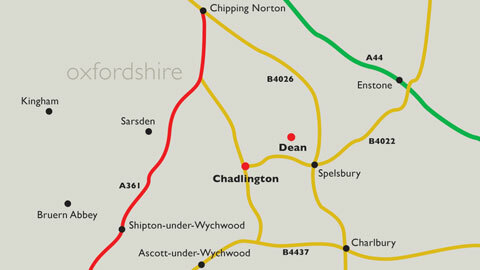 Chadlington is well placed as as centre for touring West Oxfordshire. Oxford itself is easily accessible in a few minutes on the train from nearby Charlbury Station, with the cathedral cities of Hereford and Worcester a longer journey towards the west. The “West Oxfordshire Cotswolds” are on our doorstep, and the entire beauty of the Cotswolds is little more than 45 minutes across by car. Chipping Norton has a Tourist Office at the Guildhall, Goddards Lane, OX75NJ. Cyclists of all capabilities enjoy the area and the welcoming facilities at Cafe de la Post or the Tite Inn at the end of a ride in the local area. Charlbury’s website has a wonderful “What’s Nearby” page that’s well worth a look here, but we hope readers will find the following selection of links useful, whether you’ve lived in Chadlington for years, are new to the village, or would like to visit us. Please feel free to contact us using the link below if you would like to recommend any other sites we should list on this page.